Landscape Master Plan Coplon Associates prepared a landscape master plan to detail recommendations for site improvements and landscape management for the COA campus. 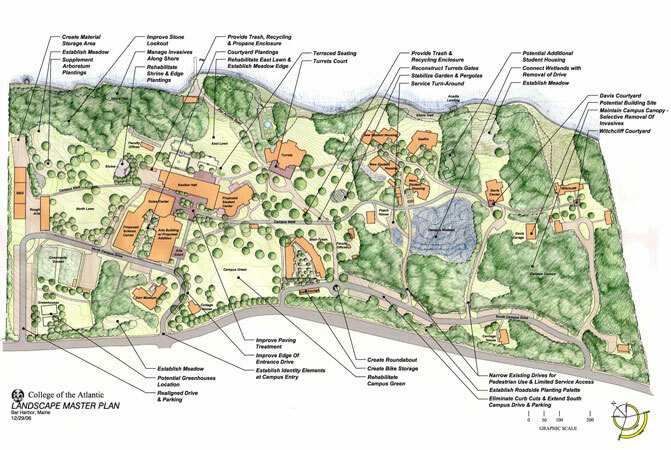 Through reuse of existing sites, rehabilitation of disturbed areas and a comprehensive strategy for managing campus resources, the plan reflects the college’s commitment to land stewardship and long term sustainability in the built landscape. In 2007, CA designed additions to the south campus circulation and parking, extending the plan CA designed in 1992.